This evening I was invited to experience the inaugural PopUp LA Dinner. 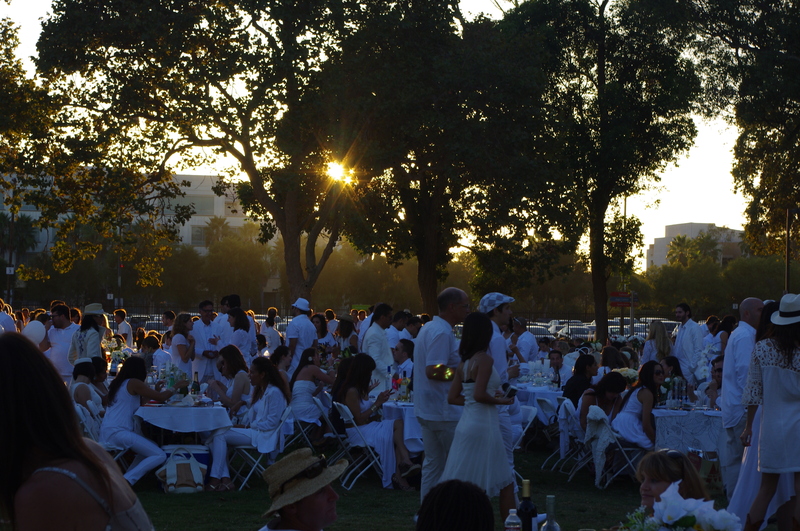 The event was inspired by dinners that have been taking place all over Europe for years and most recently 3,000 diners attended the Diner en Blanc at the Lincoln Center in New York City. 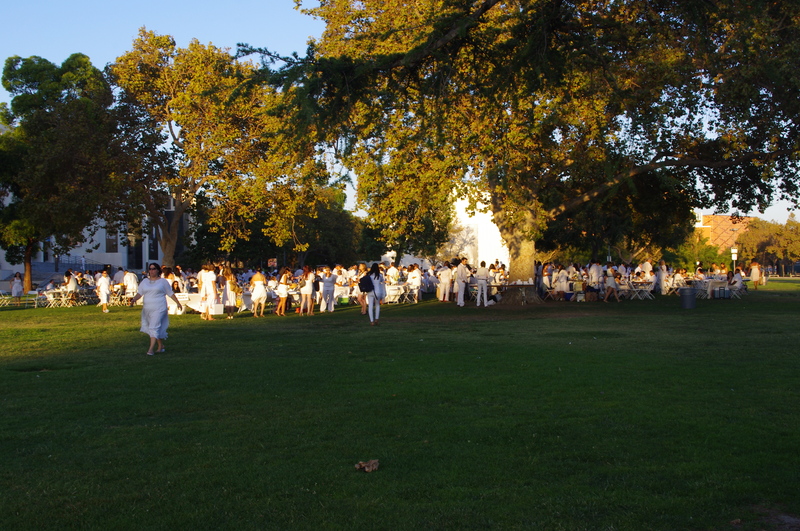 The event here in Los Angeles was held on the South Lawn of the Los Angeles Natural History Museum on the edge of the University of Southern California campus. 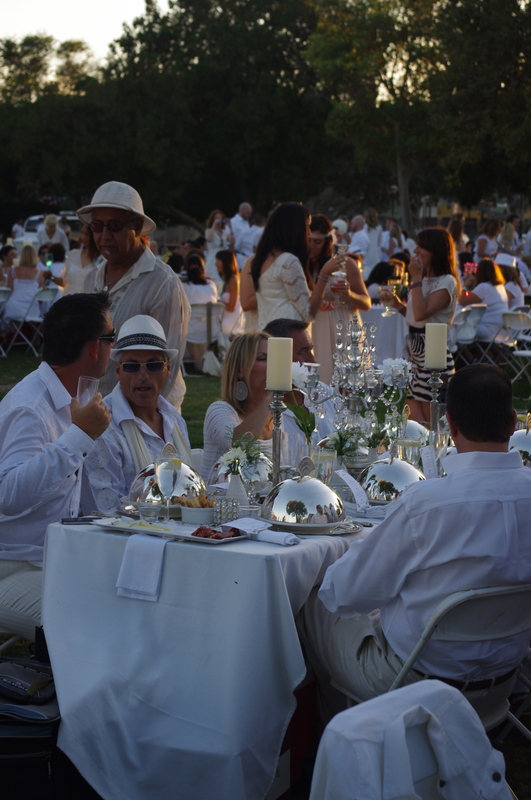 The dinner was organized as a way to celebrate food, wine and friendships in a beautiful outdoor setting. 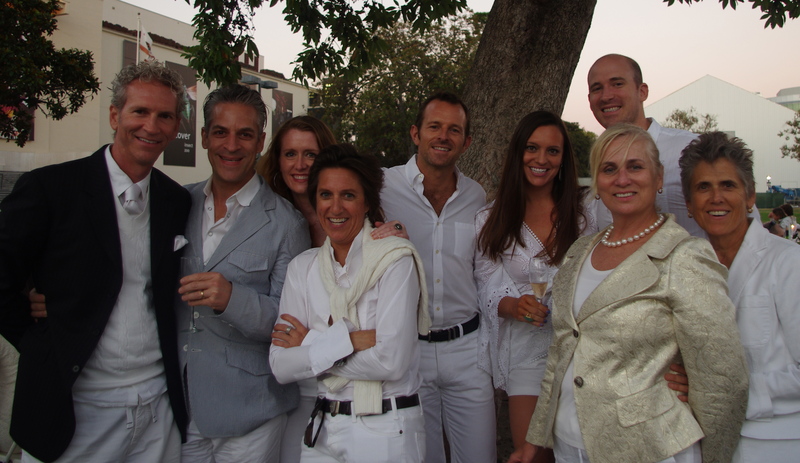 We purchased tickets for the event which included a catered dinner by Three Brothers Catering and all we had to do was show up wearing all white with serving wear, table linens, decor, a few bottles of wine (well, more than a few). 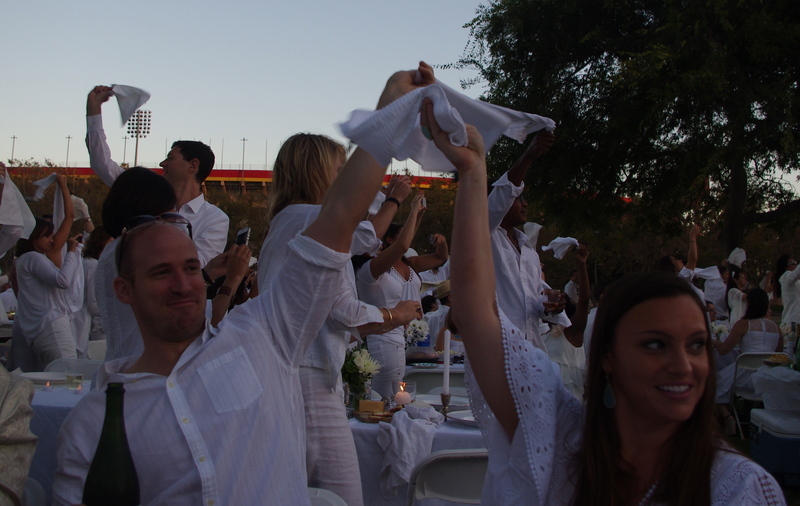 At promptly 7:00pm the dinner was “kicked off” and everyone waved their white dinner napkins in the air to celebrate the moment. We enjoyed dinner with jazz music and conversation with old and new friends and then finished the night with a bit of dancing under the stars. 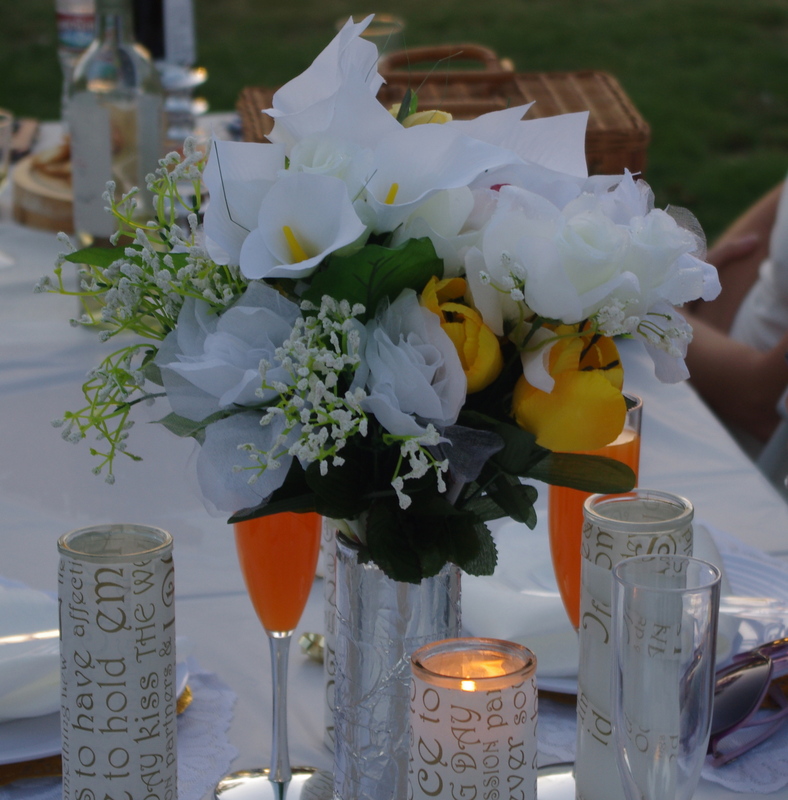 Everyone cleans up their space and before too long the space looks as it did before the event. A wonderful way to spend a Saturday evening on LA (and, I was home by 11:00pm)! I hope that more cities follow suit.